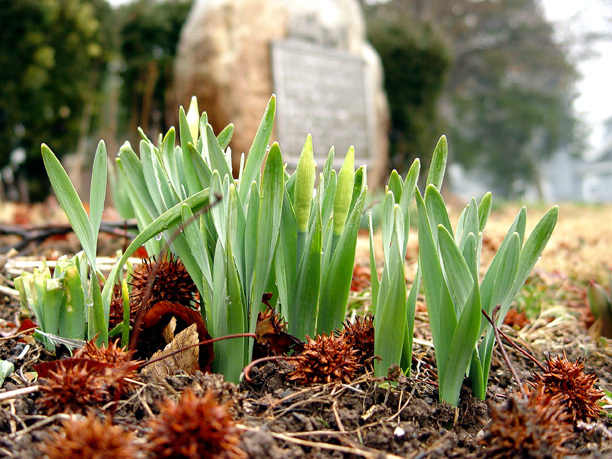 On March 20, 2005 the calendar said it was the first day of spring. It was a cool, rainy day. Puffs of melted snow mounds were everywhere. Very few crocuses were struggling to appear. Daffodil leaves were just breaking soil. There were no buds on the forsythia, magnolia or fruit trees which would start appearing in early April, about two weeks latter. Winter would not let go with a heavy slushy snow striking March 23.